The troubadour from the tiny east Texas town of Sebastapol has built a career on tried and true country music, following in the footsteps of heroes like Willie Nelson, Billy Joe Shaver and George Strait. To say the crowd was receptive is the understatement of the year. Johnson and his band played to a sea of white straw cowboy hats, lit up cellphone screens and fans from all corners of Texas singing along to every word.Johnson’s band walked on stage to a medley of Montgomery Gentry’s “Gone,” George Strait’s “Run” and Dierks Bentley’s “Lot of Leavin’ Left to Do.” Johnson kicked off the show with “I Ain’t Going Nowhere Baby,” a gorgeous, slow-burning ballad from his 2016 album Gotta Be Me. Backed by Jody Bartula on fiddle, Jake Mears on lead guitar, Joey Pruski on bass and Miles Stone on drums, Johnson got the crowd dancing to the country-groove of “Half a Song” before launching into “Grass Stains,” an ode to backwoods country lovin’ co-written with Brothers Osborne. The show was Johnson’s first sold-out show at Floore’s Country Store, a milestone achievement for any country artist. Willie Nelson, Elvis Presley, Bob Wills, Patsy Cline and Hank Williams have all played the honky tonk, where boots hang from the ceiling and ‘$100 FINE FOR FIGHTING’ is painted in red on the walls to ward off drunken brawls. Mid-way through the show, Johnson addressed the crowd. Johnson first turned heads with his brand of country music on his 2011 album A Different Day. The former bull-rider found continued success with 2014’s Cowboy Like Me. Last year, the singer released his album Gotta Be Me, which has earned praise from Texas to Tennessee for its straightforward, heartfelt songs. From the stage, Johnson made it clear that “long live country music” was the rallying cry of the evening. 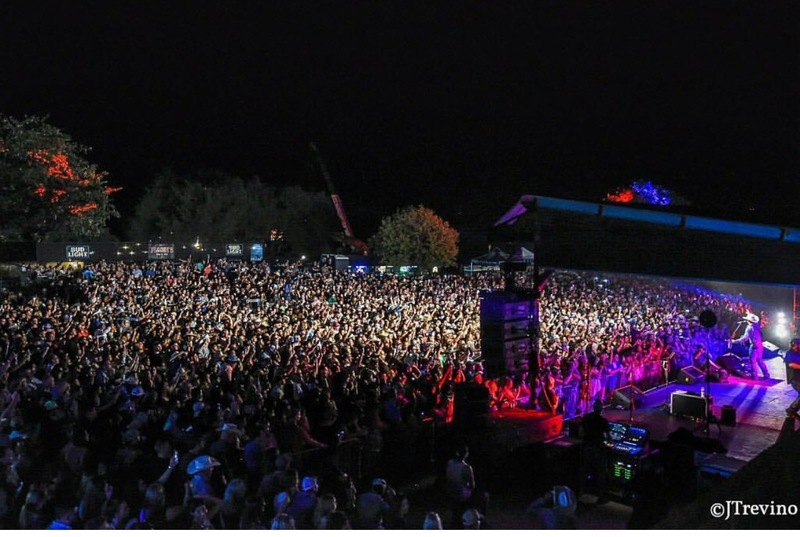 On this warm September night in the heart of Texas, Cody Johnson proved that real country music is alive and thriving. Cody Johnson is currently on tour across the U.S.